Land Rover Gulf Coast has a great selection of pre-owned vehicles. At Land Rover Gulf Coast, we know that each customer has high expectations – and exceeding those expectations is what we do best. When you come to our dealership, you can count on leading customer service individualized to your exact needs. 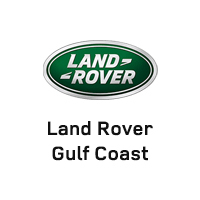 Located in Mobile, AL Land Rover Gulf Coast serves Daphne, AL; Biloxi, MS; Destin, Panama City Beach, and Pensacola, FL; and the surrounding areas. Whatever vehicle it is you’re looking for, our experienced sales staff is here to help guide you. Take a look at our selection of high-performance and luxurious new vehicles, or save by choosing an equally luxurious certified pre-owned vehicle. Whatever your budget or preference, our trained professionals will find the right Land Rover for you. Once you get behind the wheel of your new Land Rover, head to our financing department for competitive financing on your new vehicle. Our finance team aims to find the ideal car loan to suit each individual’s finance needs. And when it’s time to bring your vehicle in for maintenance, our qualified service technicians are standing by at our service department. Simply make an appointment online before coming in for an oil change, tire rotation, or whatever you need taken care of. When you’re ready to experience the level of customer service and dedication you deserve, come to Land Rover Gulf Coast. Visit us at 1419 East I-65 Service Rd S in Mobile, AL, or contact us online at any time. We look forward to working with you.